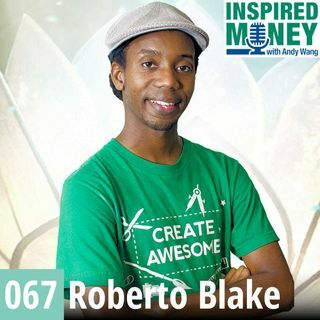 Creative entrepreneur, YouTuber, and vlogger, Roberto Blake tells us why we need to use video and great content to achieve financial freedom and a strong personal brand in the 21st century. In this episode, you will learn: The importance of creativity and why we are all creators. As a teenager, Roberto struggled and suffered in silence. A glimpse into how Roberto monetizes his business from YouTube ad revenue, affiliate income, consulting/speaking to build a multi-6-figure income.